You can see butterflies almost anywhere in Florida! Butterflies are insects that, together with moths, belong to a group called Lepidoptera. They have four wings, two forewings and two hindwings, each covered with tiny scales in intricate patterns and sometimes brilliant colors. Their large compound eyes give them good vision. Adult butterflies are even able to see ultraviolet light, which humans cannot. They use sensors on their feet to “taste” plants, and their long, straw-like tongue called a proboscis is used for drinking fluids like flower nectar and water. Butterflies start life as caterpillars that hatch from eggs. After spending several weeks in this pupa stage, the caterpillar closes itself into a cocoon and changes into a butterfly. This process is called metamorphosis. Where can you see butterflies? Butterflies can be found in backyard gardens, forests, even at the beach. They typically fly during the day, while moths usually fly at night. What do you need to watch butterflies? You don’t really need any special equipment to watch butterflies. Binoculars are helpful but not required. 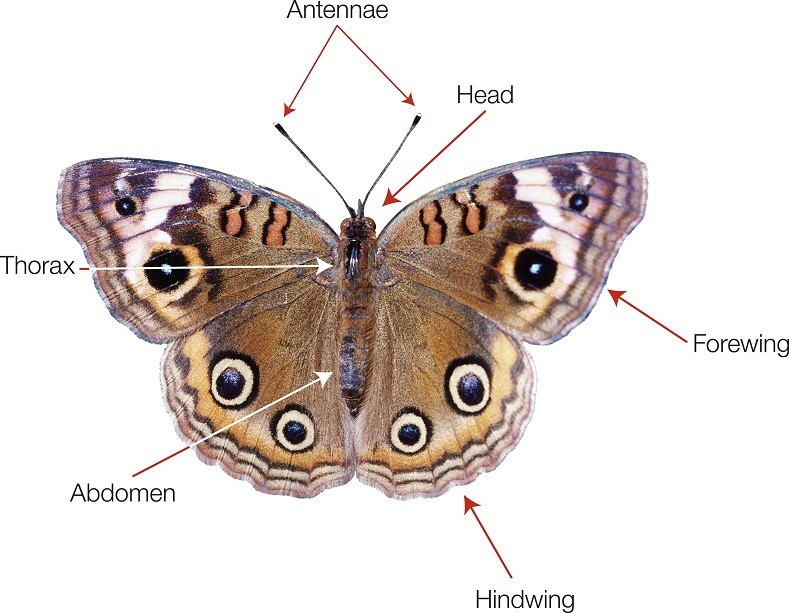 Field Guides help you identify butterflies. A checklist helps you keep track of what butterflies you’ve seen. Taking a photo can help you identify the butterfly later. Each type of butterfly prefers certain habitats like forests or meadows. Learn where to find different types of butterflies. Some butterflies feed or lay eggs only on certain types of vegetation. Learning these associations can help you identify butterflies and caterpillars. You can attract butterflies to your yard by providing the types of trees, plants, and flowers they need.. Remember, butterflies are also important pollinators. To find out more about butterfly conservation, click here.